NOTE: Casters currently unavailable for SonicFrame racks. The SonicFrame 36U Open Frame Rack fits most EIA Standard 19" equipment and is the premier AV rack for your studio or AV lab. These racks are built to accommodate your AV equipment such as switches, routers, XLR patchbays, or preamps. With a 36U height and three different depths finding the right combination for your needs is easy. Our rack's 13GA steel frame allows for up to 2000lbs (907kgs) of equipment to be mounted in each rack, and the square hole mounting rails allow for a wide range of equipment to be mounted regardless of screw size. 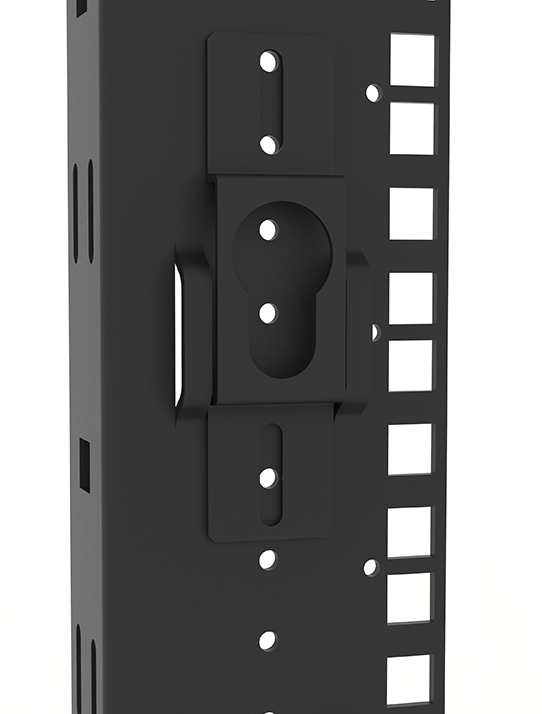 The back of each rack has one of a kind integrated cable management lances for passing cable ties or straps through to secure your cables all the way up the rack. 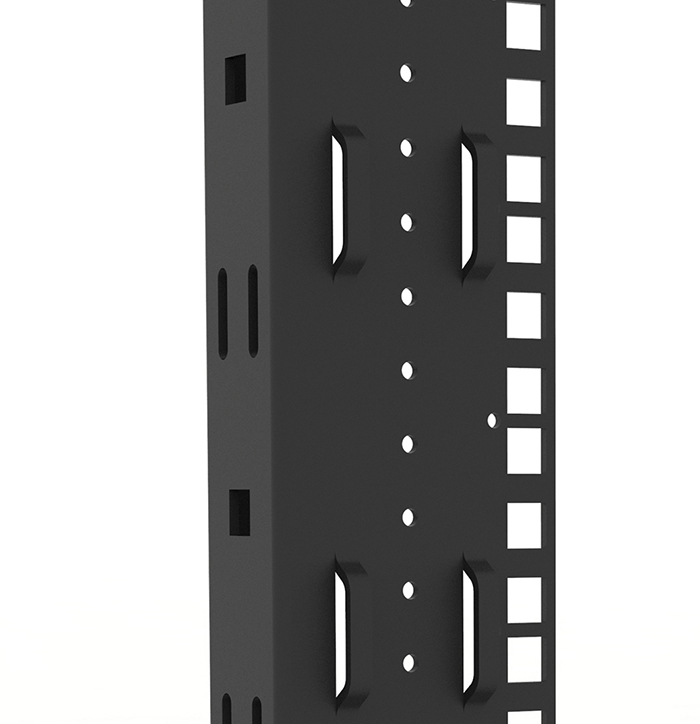 Also on the back along the height of the mounting rails are holes for installing button mounts for easily mounting a PDU or other cable management accessories. The rack components are self-squaring so assembly and set up is quick and easy. The open frame design allows for undisturbed air flow throughout the rack and access to all your equipment when needed. All rack assembly hardware and button mount hardware included. The SonicFrame racks feature built in lances to create an attachment point for zip ties and velcro straps. This design gives more options for cable management. Button mounts create an easy way to mount cable management accessories and power distribution units (PDU). The button mounts are adjustable to meet the mounting needs of the accessory. These mounts come standard on every SonicFrame Rack.